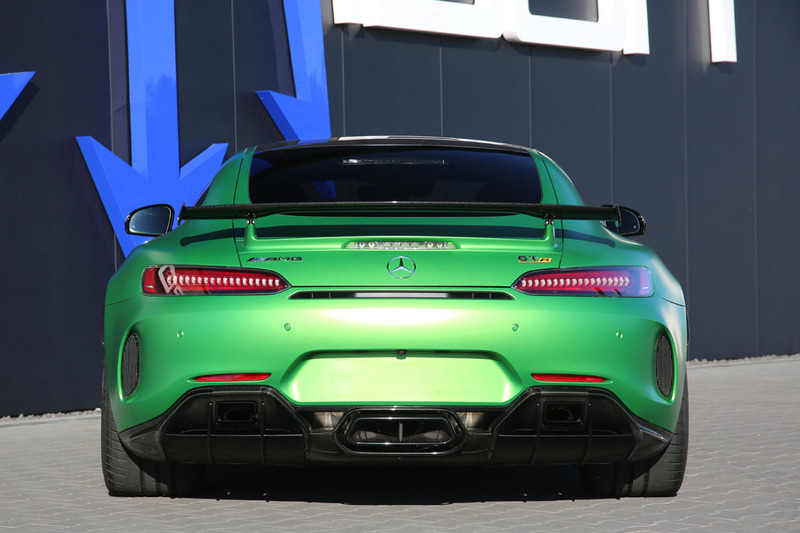 “The Beast of the Green Hell” – rarely has the marketing department at Mercedes Benz or Mercedes AMG coined such awe-inspiring phrases as this when naming the latest top model of the Stuttgart sports car department, the AMG GT R. And, as a matter of fact, its standard 585 hp / 700 Nm 4.0-liter V8 with twinturbo charging and its hoard of thoroughbred motor sport technology under the sleek, toned hood make the GT R a powerful track tool, which proved its mettle on the legendary Nordschleife of the Nürburgring with an impressive lap time of 7:11 minutes. 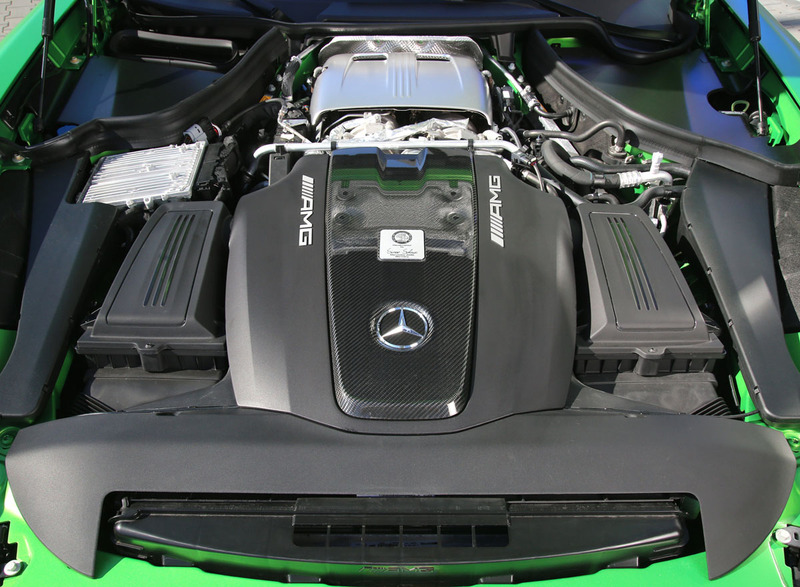 But, of course, with even more power the GT R would have gone even faster. 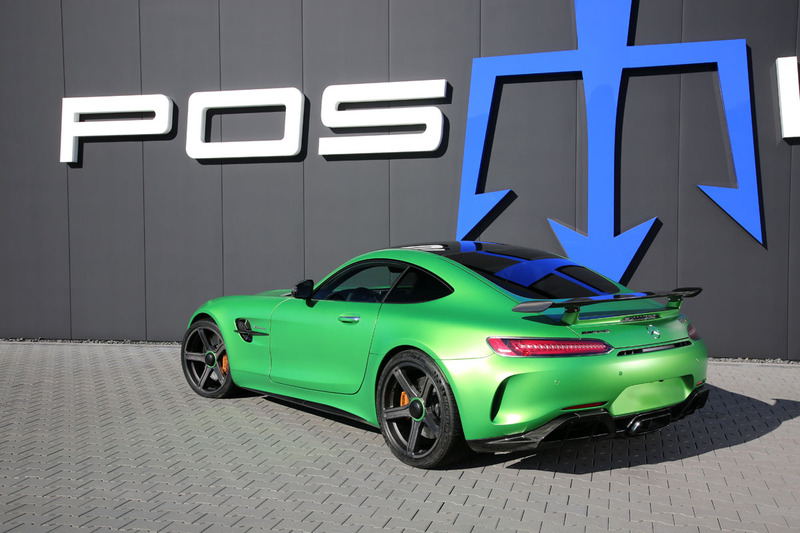 And now, the Swabian racer is being given a more than significant power boost by the Mercedes and AMG specialists at POSAIDON, based in Mülheim-Kärlich in Rhineland-Palatinate: the GT R, now dubbed “RS 830+”, delivers up to 880 hp after POSAIDON’s course of power-enhancing therapy, with two completely new, ball bearing-mounted high-performance turbochargers at its core. Furthermore, the connecting rods of the M178DE40AL engine have been fitted with forged high-performance pistons and sport air filters have been installed. New and improved fuel pumps provide the twin-turbo engine with high-octane fuel, while highperformance spark plugs emit the igniting spark. The hot combustion gases escape through new manifolds and downpipes with sports catalytic converters. And the RS 830+ conversion is of course rounded off by a painstaking optimization of the engine software. 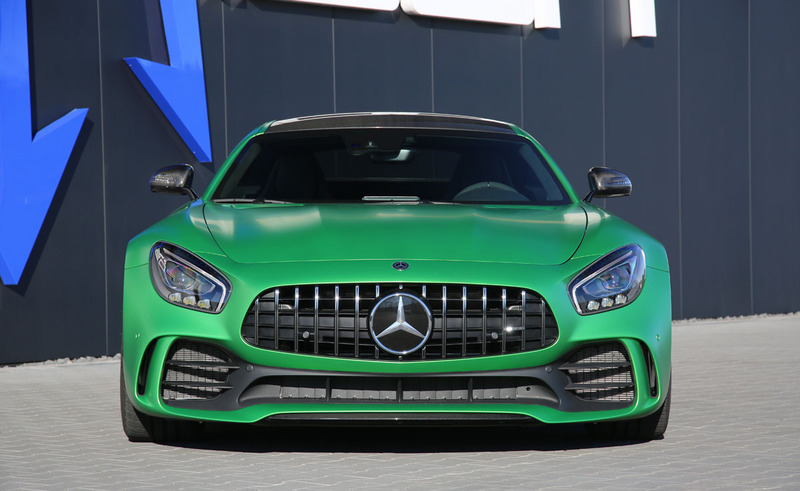 Although the AMG SPEEDSHIFT seven-speed dual clutch transmission has also got software updates and hardware reinforcements, POSAIDON has electronically limited the maximum torque of the RS 830+ to 1,000 Nm in order to increase the endurance of the transmission. With this new ammunition, the POSAIDON RS 830+ can catapult to 100 km/h in just 2.9 seconds. 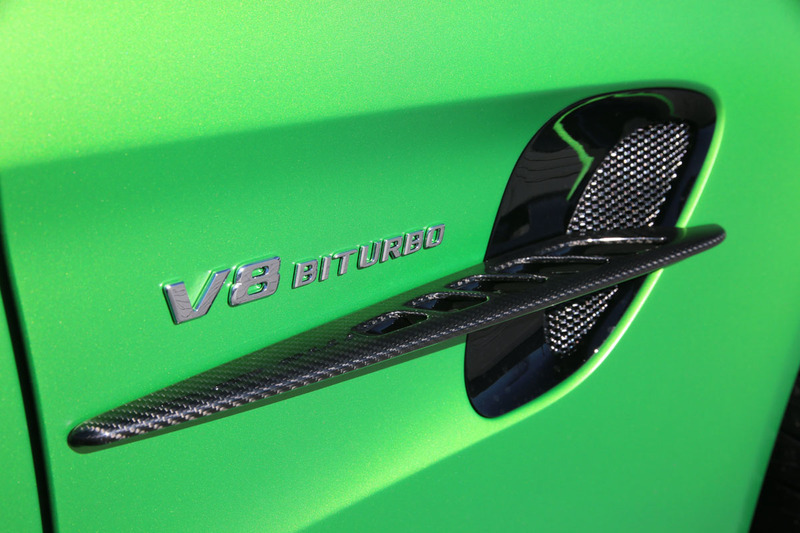 And because the RS 830+ upgrade also includes an inhouse additional control device to completely free the sports car from the shackles of the electronic Vmax, it can quickly reach speeds of 360 km/h on request as well. 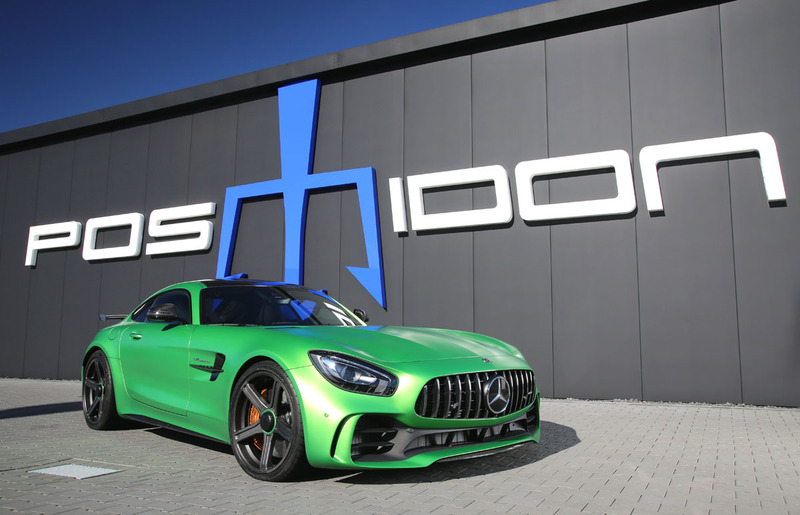 Incidentally, POSAIDON is also offering this speed boost for almost all other current Mercedes AMG and Mercedes Benz models. 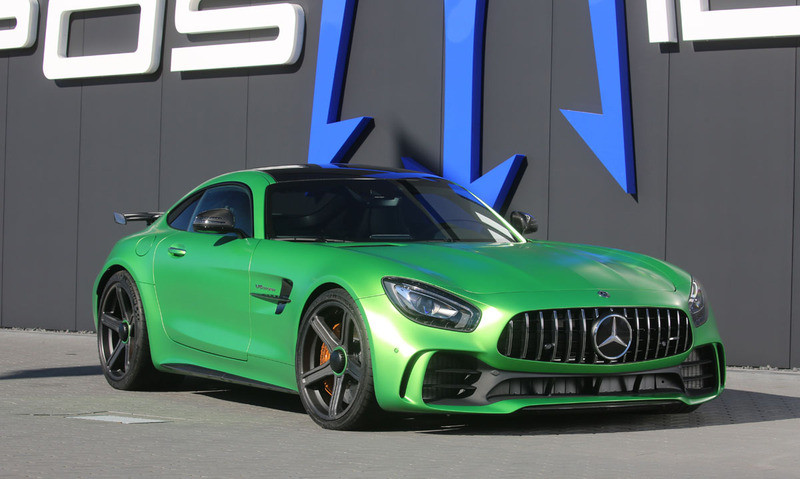 Speaking of other models: the RS 830+ does not necessarily have to be based on the GT R, it can also be realized from the “tamer” AMG GT, GT S or GT C models. 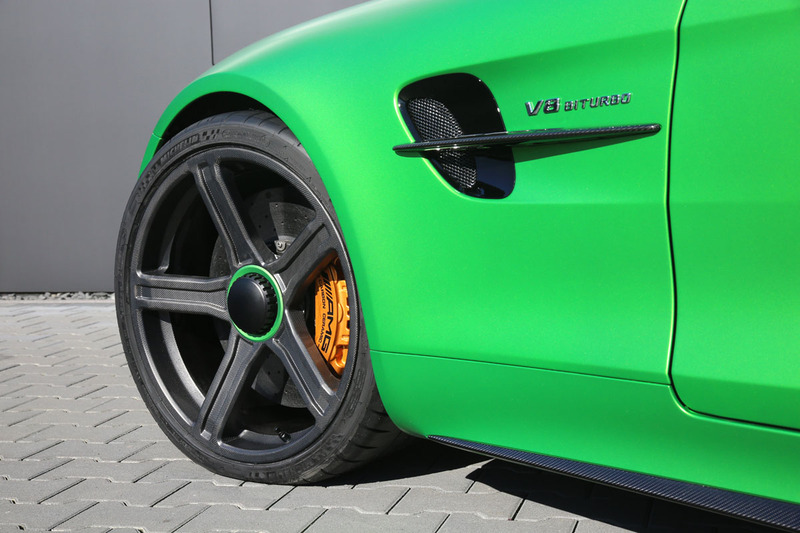 The ultimate in high-tech wheels spin on the axles of the GT R shown here: this is POSAIDON’s very own Evolution One – the world’s first multi-piece full carbon rim. The specialty of this lightweight rim (from 4.9 kg) is its innovative, integral structural design, which is what makes construction of the high-end wheel possible in the first place. The RTM method and device used in the process are patent-protected. 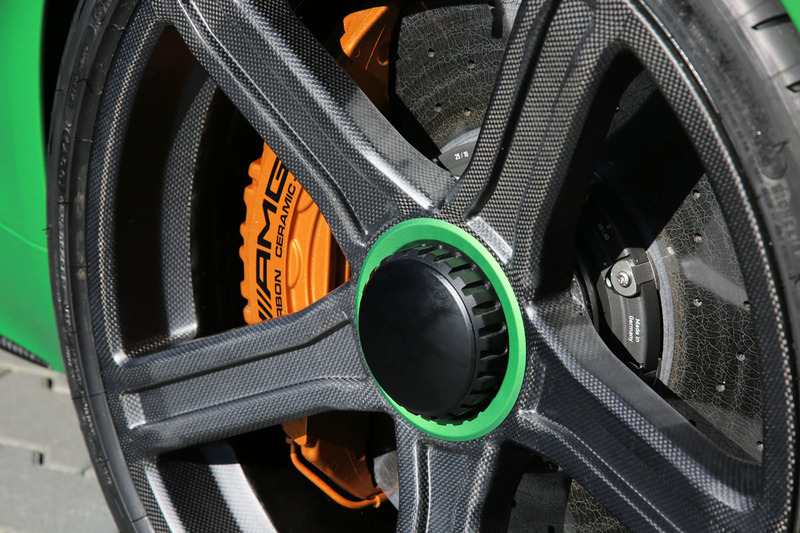 The POSAIDON Evolution One is hooked up to the vehicle via a central locking system, which allows for highly variable production in terms of rim offset and bolt circle. RFID sensors fully integrated in every rim transmit data using the NFC standard, so that the data can be read by special apps. Even the finish of the POSAIDON Evolution One can be tailored to every customer whim. 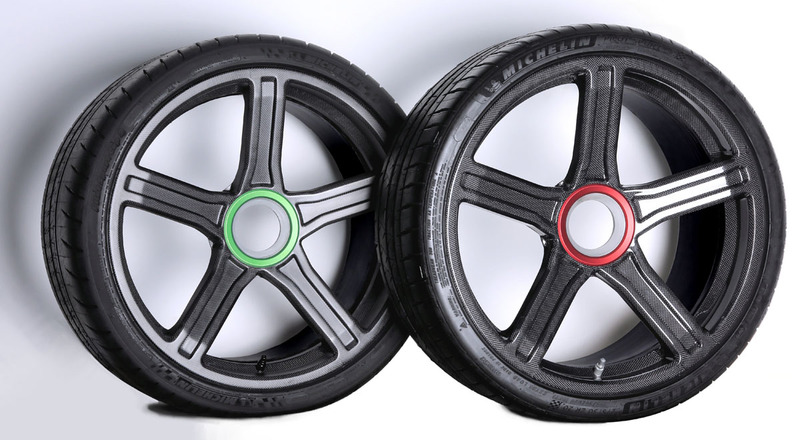 The Evolution One is initially available in 20″ rim models with a width of 9.0″ to 12.5″ – and with TÜV approval. An 8.5″ width variant will follow. The RS 830+ shown here comes with the 10.0×20″ and 12.0×20″ full carbon rims along with high-performance Michelin Pilot Sport Cup tires in 285/30R20 on the steering axle and 325/30R20 on the drive axle.